Gouache on Canson Mi-Teintes Paper, 12" x 16"
Image Size: 10" x 13"
SOLD at $20 plus $10 shipping. Click Here to Buy Now thru DPW. The paper is actually a pastel paper, but it took the gouache pretty well. Welcome to my daily painting blog. Here I'll post my efforts to paint one small painting a day, with a little wiggle room by saying five per week. I work primarily in oils these days, but also love my watercolors. I hope you enjoy my work, and as always, your comments are welcome. 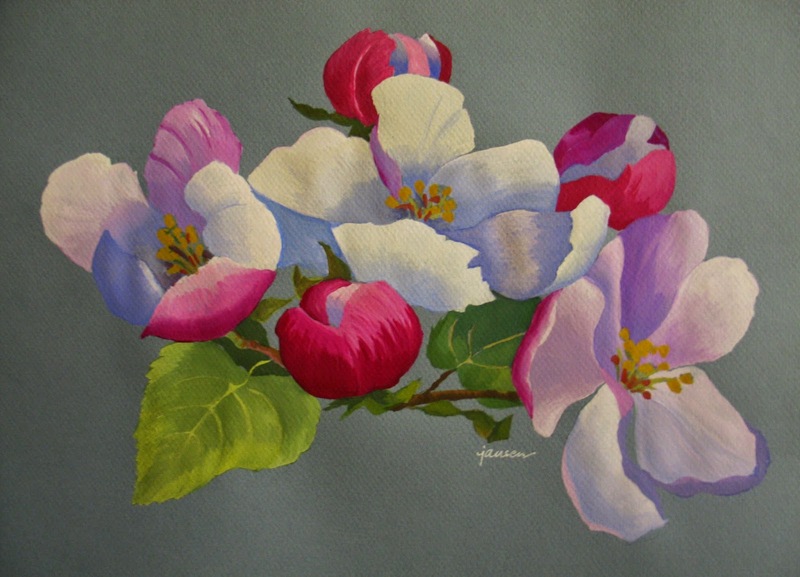 The images reproduced in this blog are copyrighted by the artist, Nel Jansen. All rights reserved. Would you like to get Nel's latest painting emailed to you daily? This is a Flickr badge showing items in a set called Oils, Acrylics, Tidbits. Make your own badge here. "Life is the art of drawing without an eraser." All of the paintings here are available for purchase plus packaging and shipping, except those marked "sold" in the title and description. Paintings are sold on a first come, first served basis. For information, email me at NelVanL@aol.com Thanks for your interest.